Wholesale Carhartt belts and bags. They come in a selection of different materials, styles and colours and are suitable for workwear or outdoor activities or simply just day to day wear. 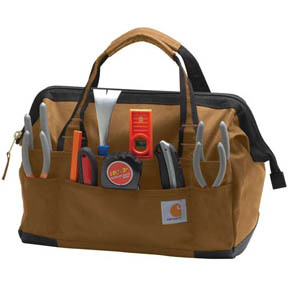 As with all of our vast range of workwear, cheap Carhartt belts and bags are of the highest possible quality, based on ten years experience in the industry. Please feel free to take advantage of our very competitive prices, next day delivery and money back guarantee of satisfaction.